Holy crap folks. The day has finally come where users can block individual senders or mailing lists without having to create a filter to send to trash. Starting today, on both Android and Web, users can click on the drop down menu (web)/three dot overflow menu (android) and select Block "Sender". 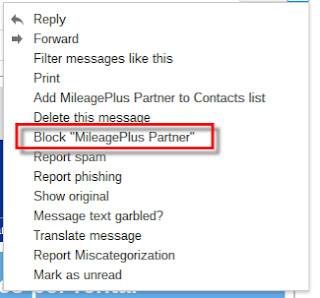 Once a sender is blocked all future messages will automatically be sent to spam. Users can then manage their blocked senders from the settings under a new tab called Filters and Blocklist. Here you will be able to unblock senders and manage the regular filters you have setup. Note, at this time there will be no notification mechanism to alert (voluntary or otherwise) the sender that you are blocking them. Is this just for Chrome users?